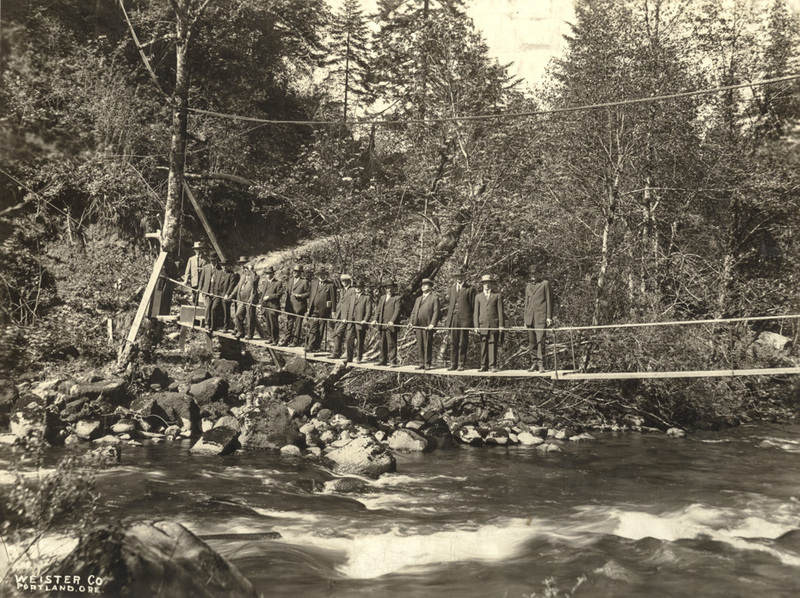 Given it's nearing the centennial of the construction of the Eagle Creek Trail in the Gorge (1916), I thought I'd share a photo I was lucky enough to find in an antique store a couple years back. It's a fiber-based print of what must be the original bridge over Eagle Creek where High Bridge is today. And it's made of wood (of course)! Anyway, I thought my fellow Gorge buffs might enjoy seeing it. In my opinion, it's one of the most iconic Gorge images around. Very neat. Nice find, Zach! Thanks! Yeah, I really love the photo. I've got a lot of cool old Gorge postcards and various articles and prints now, but it's definitely one of the neatest pieces I've found. Chameleon, do you by chance have this picture in your collection? It would be nice to positively identify the spot. Great pics, all! I love looking at them an imagining what life was like then. 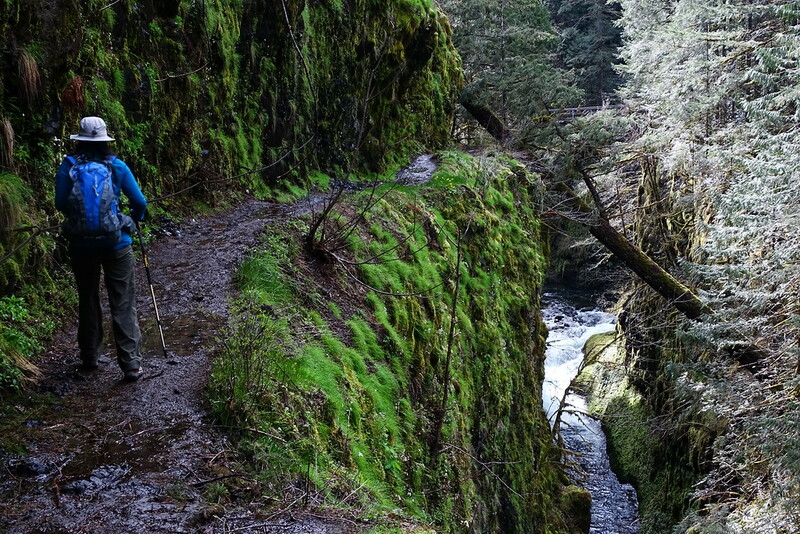 Imagine how raw and wild the Columbia Gorge was in those days, no dams or highways. Thanks guys! I knew there had to be some others who loved old images of our wonderful area! Marilyn, no I haven't seen that pic before, but it's fantastic! Given it's a weister studio photo, I imagine it'd probably be possible to track down the exact location, if the Oregon Historical Society has an inventory of their pics. Wherever it was,that's a lot of dapper fellows for one small bridge! Luv that simple bridge design! the distance between the two vertical cliffs of the left is slightly bigger on your picture, so you're closer, but it's real close to the same? funny that the leaning tree is the one that survived. A little bigger diameter in your picture. The branches that had needles on them are just snags in your picture. 95 years probably too short a time for a new tree to grow and then ground slides so it leans. The old leaning tree has finally succumbed to gravity and fallen across the gorge. It's still rooted in though & looks like it will continue to live!